This is a wonderful post about the importance of fantasy in writing and reading. Deena Weisberg is a senior fellow in psychology at the University of Pennsylvania. Her specialty is “imaginative cognition,” which studies how imagination boosts one’s ability to learn. Her research demonstrates that children absorb new material taught in the context of a fanciful scenario better than they do when it’s presented in more realistic terms. In a recent edition of Aeon, she challenges herself with a question she’s grappled with before: Why do fantastical stories stimulate learning? What can be going on? Perhaps children are more engaged and attentive when they see events that challenge their understanding of how reality works. 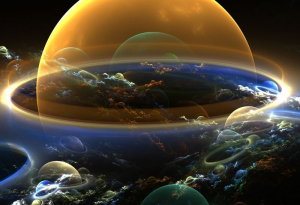 After all, the events in these fantastical stories aren’t things that children can see every day. So they might pay more attention, leading them to learn more. Jennie’s post is an excellent example of the finest teaching! Charlotte’s Web is a book that has a profound influence on children in the best of ways. Children listen, often silent because of all the wonder that is going into their brains. The words alone paint a picture that they relate to and understand. Yes, close listening happens. 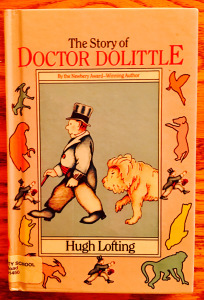 Yet, when I read-aloud The Story of Doctor Dolittle, children are actively engaged, asking question after question. This is a book full of imagination and creativity. They want to experience this book. Oh, how we talk! We talk about Chee-Chee and the monkeys in Africa. We learn about vaccines. We figure out how the Bridge of Apes is possible. The Leader of the Lions and the King of Joliginki introduce the subtleties which are most important: goodness, right vs wrong… then along come the pirates. Oh, my! We can’t get enough! We need more. So, we play The Story of Doctor Dolittle. This post has a crucial message that is always deeply important! I swore never to be silent whenever and wherever human beings endure suffering and humiliation. We must always take sides. Neutrality helps the oppressor, never the victim. Silence encourages the tormentor, never the tormented. Beginning with this post, I will occasionally show photographs of my book Maledicus: The Investigative Paranormal Society Book I as it travels to various locales. These were taken on a ferry from Staten Island to Manhattan during a recent excursion my wife and I took into the city. I love traveling on the ferry, which is still free! Actually, I love riding on any kind of boat or ship, so this part of the trip, no matter the weather is always exciting for me. This one was taken as the ferry was departing from its slip in the Staten Island Terminal. And this one shows the novel traveling comfortably on one of the ferry seats! I am honored by this post, and I hope you check her blog and follow her. Here is another one of those men I speak about in my Ode to the Old Men. Doc Chuck is a muse of sorts walking around creating inspiration. He has a way of teaching a person how to find their voice and bring it forth. He is my professor, adviser, mentor and friend. He steers the ship of learning; towards the shores of knowledge. He recently published a book which I am currently reading and enjoy very much. The book; which is titled Maledicus, follows a paranormal investigative society made up of older men (not the average hero). They investigate a haunting and discover the real evil behind it.